Help Documents - Version 5 Banquet Table WizardHow do I change the Table Captain? 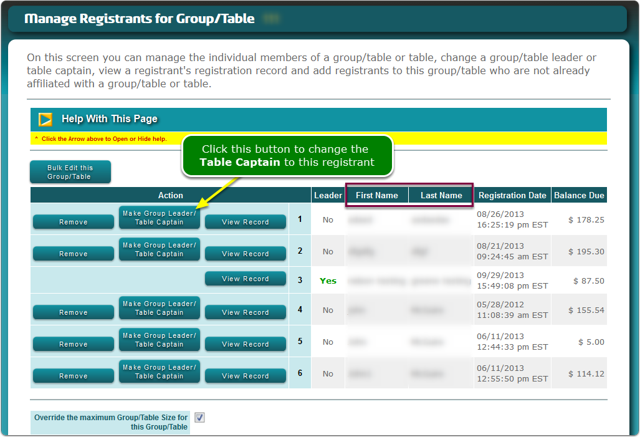 Changing the Table Captain is one click on the button adjacent to the name of the New table captain. You will be prompted to confirm your selection. Prev: How do I add and remove table registrants? Next: How do I record a Credit Card payment for a table?